Being a blogger means I have to always updating my knowledge about everything. Do you mean everything? Yes! Exactly means everything. Books that I have read this July. Have had been focused on travelling stuff, parenting, life style (mostly about gadget, software and social media) and some fictions, made me have to absorb various kinds of knowledge. Especially, when I finally drowning into my writing block’s period. I randomly do reading, me time travelling or even just do an extra house cleaning. Though all those activities do not give any guarantee that I can easily write new ideas or topics, I need them mostly to brain-wash my mind. The way I am thinking. The way I should tell stories or ideas. After all, my writing productivities were now increased in good vibes. 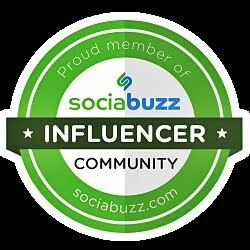 I was joined two routine ‘Arisan Blogger’, exchange a back-link of my-bloggers-mate from Lombok and Semarang. Since this ‘Arisan Blogger’ tends to stimulate the blogger member to keep writing based on specific theme that choose by the ‘Arisan’ winner. The theme was easy enough and related to most of the member daily life - self experience. At this writing, I should share about any inspirational books that affect my life. Inspiring me at many thing’s. 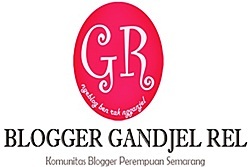 The theme choose by Vita Pusvitasari and Anita Lusiya Dewi from Gandjel Rel, Semarang mom-blogger community. My problem is, I can’t state specific book for that. I am those one who took many good parts or good points of view from many sources. Well, then let me just share some of those goodness here and hope that you all can also get the positive effect as I do. 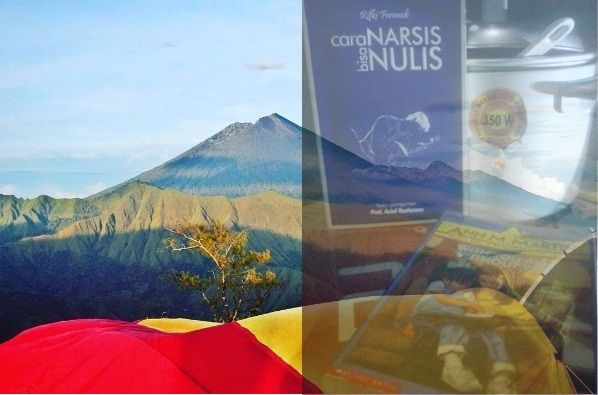 I got ‘Cara Narsis Bisa Nulis’ book directly from its writer, Mr Rifki Feriandi. He was a former CEO of a famous contractor company. He shares his own experience while learn how to make good writings. There were some writings that touched me so deeply, especially writing with the family’s relation theme. This also inspired me so much that made me wants to follow the writer thought about his closest family. Another inspirational books come from various novels I have read. This July, I have reads some various novel. One of them was Grisham’s, -- I have to search the title at google :D , ‘Theodore Boone The Young Lawyer’, the other was Donny Dhirgantoro novel ‘2’ (I still remember the title coz I am just finished the book today) and two old books from US’s writer – Ann M. Martin, ‘With You and Without You’ copyright 1986. Surprisingly, all those 4 novels big theme was about family. Each of them indeed has their own character, plots and background places. They also tells about different problems and so long gap period of time. Grisham’s novel was published at around 2002, which means that gadget (mobile phone) was already used at our daily life. Ann M. Martin was also having used technology, but at the ‘old’ taste, home cable phone. These two simple things that used as the stories background shows us that technology was develops – might be, just within years only. No need to wait for centuries. 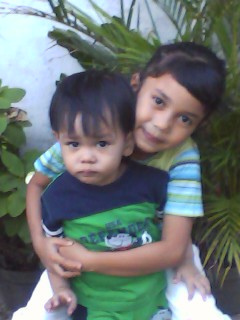 My Kiddos, my end-less inspirational sources. Ok, now, I have got some big points, some inspirational side from various books I have had read. First, every one now could write only when they want to learn to. Things that described much from Mr Rifki’ book. Second, family theme was always could be inspiring. Stories about Indonesian’s, or even more, worldwide family stories. The last, it is still important to put the factual side at whatever stories we want to write about. It could be a good lesson for our future readers, or in most simple things, the facts can be a good record or our life era. Then, why not telling me, what book’s inspired you most? Mostly its happen to me too. Happy writing for you too. Btw, are you join Genpi Jateng teams? Is that you at twitter timeline? Going to edit it soon ..
Common problems for most reader addict y mom.. I love theodore boone, amazing young man.. Many Grisham's writing made me able to write in details. And yes, Theo Boone could be as good lawyer as his parents. I totally enjoy reading a full English version.. put more pleaseeee! Me too, Im not so up to date with the latest of all things. Usually use, wear or read things that come to me. Kalo aku kebanyakan sukak buku komedi. Lupus, raditya dika, AKD, cenat cenut reporter. Kalo komik suka banget ma Miiko. Yg penting jangan lupa buatkan kopi meski gi asyik baca yak. Dan aku roaming banget. Ya Allah, aku kudu baca kamus bahasa Inggris ini dan mencintainya. Harus. I haven't read them all. But my 'family' themed favorite book would be "Little Women"